Infographics are taking the corporate communication world by storm. As attention spans get smaller and smaller, communicators are struggling with how to present complex information in easy-to-digest formats. And a good infographic can often be the answer. Lori MacKenzie and her creative team of communicators and designers who work for the city of Aurora in Colorado, found this out when faced with the challenge of trying to communicate the city’s total compensation plan to employees. They wanted employees to understand that total compensation goes a lot further than just salary—and also show them how the city’s compensation plan compared with other organizations in the Aurora area. To capture all that information and convey it an easy-to-understand format, she partnered with HR to get the data, and then graphic artists to come up with the design. Though it’s too early for any hard measurement numbers, she has gotten great anecdotal feedback from people who appreciated the information and the way it was presented. LHF asked Lori a few questions about the process, and the lessons she learned. LHF: What was the creative process like? Did you provide an outside agency with the data, and they came up with the infographic? Or did you do it in-house? LM: Everything was done in house from start to finish—including printing. Our communications team met initially with human resources to get the data and then we worked with our graphic artists to brainstorm and come up with the creative design. LHF: Do you have any measurement numbers on whether or not it worked? Even anecdotal evidence? What kind of feedback did you get? LM: We don’t have hard numbers, but we did receive feedback. Employees definitely read the information and found the format to be eye-catching. A few employees who are unhappy about the fact that raises have been minimal for many years didn’t like the fact that we were pointing out the total value of their compensation package, but at least we know they read it. LHF: Why did you do it? How did you know there was a need for this information? LM: As I mentioned, salary increases have been fairly slim (or non-existent) for many years. However, at the same time, the city has continued to absorb increased costs for our health care benefits. We are also fortunate to have paid vacation time and sick leave, and a solid defined benefit retirement plan. There was a need to help employees truly understand the entire value of their compensation package, and not just their salary. LHF: Why the infographic approach, instead of the standard article/poster/brochure? And where did this appear? How did people see it? LM: We had some success with a report to the public we produced earlier in the year as an infographic. We thought it was important to do something like that for our employees that cut through the clutter of standard internal memos and handouts. We printed posters that were hung in all employee break rooms at all of our facilities throughout the city. We also posted the piece on our employee intranet. “This is a discussion that makes me a bit troubled. I do agree that there are ways that infographics can be created and that represent an OK form of promotion, but the challenge is that as soon as I say something like that, people are going to use this as justification to do whatever it’s they want to do. They will push the limits, and that isn’t OK.
“In principle, there’s nothing wrong with the concept of an infographic. What concerns me is the types of things that people are doing with them. They get far off topic, or the fact checking is really poor. The infographic may be neat, but if the information it’s based on is simply wrong, then it’s misleading people. “The other thing that happens is that people don’t always realize what they are linking to when they reprint these infographics. Often the link goes to a completely unrelated site, and one that they don’t mean to endorse. Conceptually, what happens is they really buy into publishing the infographic, and agree to include the link, but they don’t actually care about what it links to. From our perspective this is not what a link is meant to be. I’ve been wanting to create infographics to illustrate interesting activities in various departments. (Feel free to use that in any “Worst Sentences Ever” competitions you may have coming up.) For example, our Recruiting team has lots of information about how many hires they make in a year; how many per dept; how many of those come from internal referrals; how many total applications they receive in a year, etc. 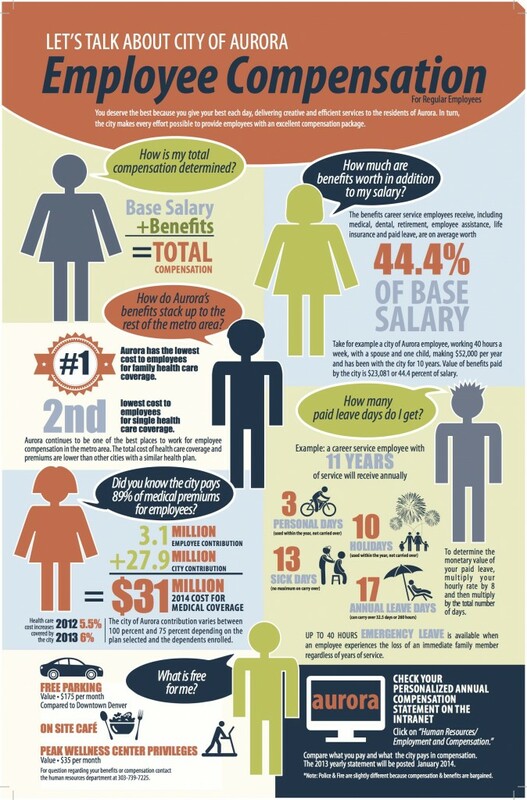 I think employees would genuinely find that sort of thing interesting, and infographics seem an appropriate format. But the problem I’m experiencing is in creating the narrative flow, of knowing how to segue from one group of stats to the other. The infographic above is actually quite helpful – the Q&A format is something I can wrap my head around. But do you have any other tips for the actual writing of infographics? And do you think it’s worth using some of the free ‘create your own infographic’ sites that are out there, or do you think a designer is necessary for the process? Also, I think you need to insert a link to this story on your front-page news carousel. The current teaser has no link to the story itself (unless I’m losing it entirely and have missed it). Valerie: I would say that when it comes to the writing, less is better. I think the key is to write tight and concise, and make EVERY word count. That sounds easy, but in the corporate world, it’s incredibly hard to do, what with all the necessary AND unnecessary jargon and other extra words (to say nothing of the corporate urge to use bigger words when smaller words would do) that seem to find their way into corporate copy. I think when you’re all done writing, you need to go back to it and look at it word by word. NO passive sentences, which add words. Shorten words whenever possible. Shorten sentences whenever possible. Be a word surgeon and remove anything that isn’t critical to comprehension. Shel: I certainly agree with him . . . like anything else, an infographic is only as good as the content it holds. And how that content is presented. And whether or not it was the right channel in the first place. I, too, worry that in the race to communicate information in smaller and smaller packages, people will try to jam information into infographics when an article would be a better choice. As with all things, it’s up to US to make sure we are using the tool properly. I think the one I showed was a good use of the medium.